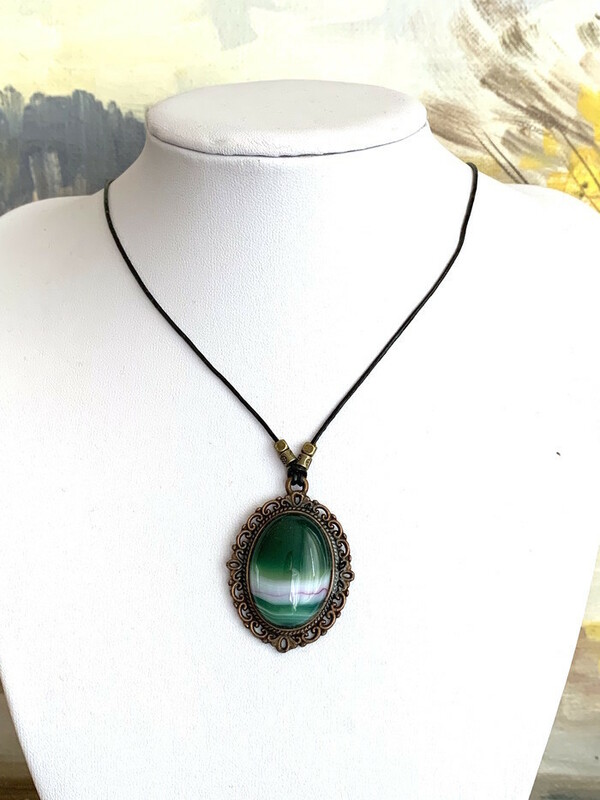 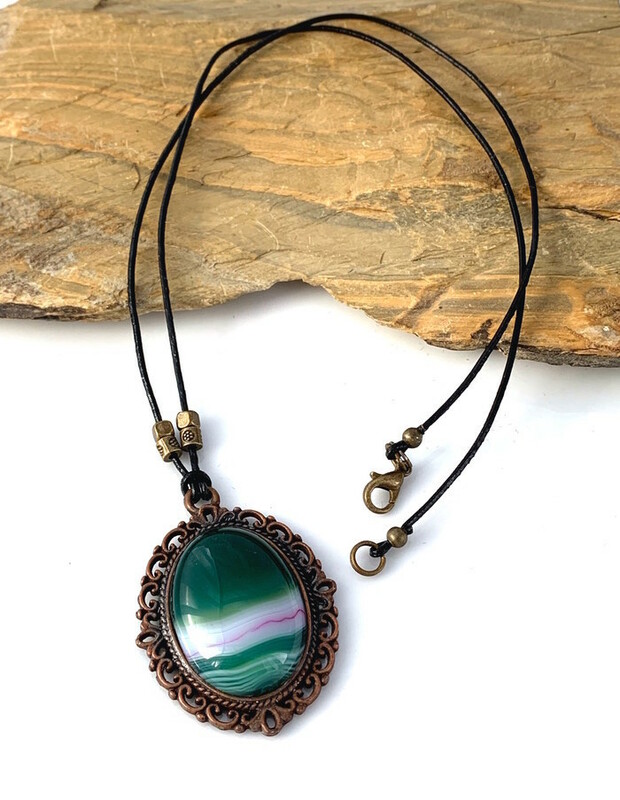 4 Choices: Genuine Banded Agate and Jasper Bronze Pendant on Leather Cord. 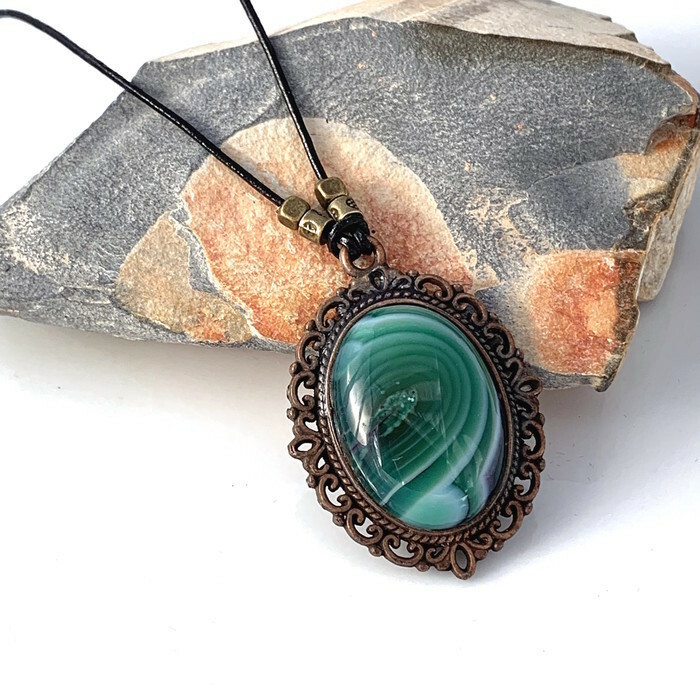 A classic pendant set in a BOHO necklace. 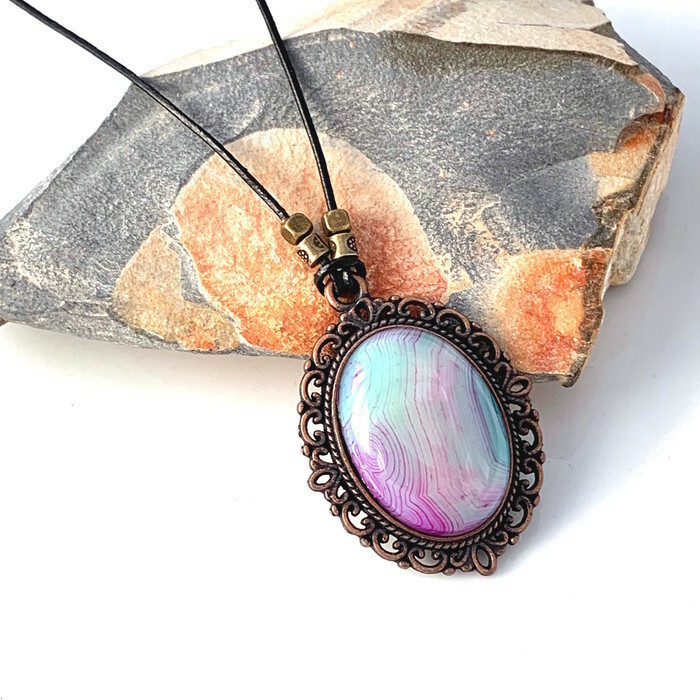 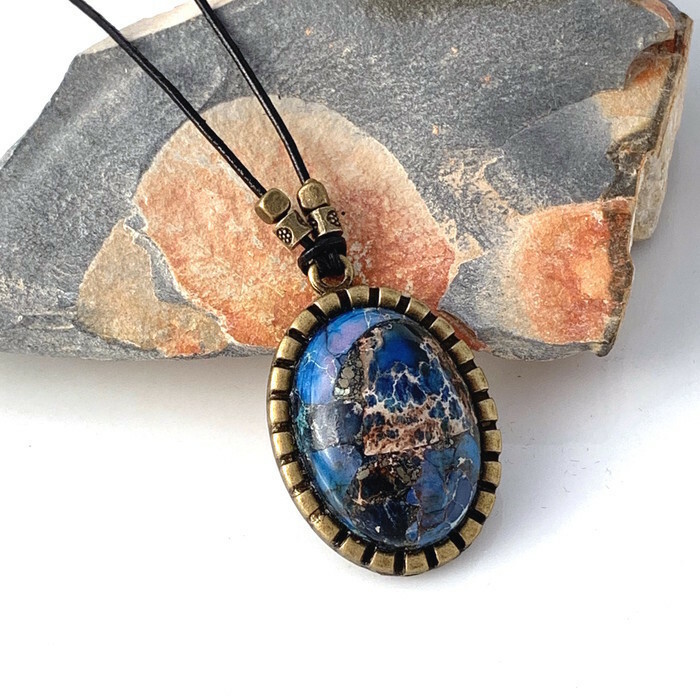 Genuine agates and jasper with gorgeous patterns and colors to choose. 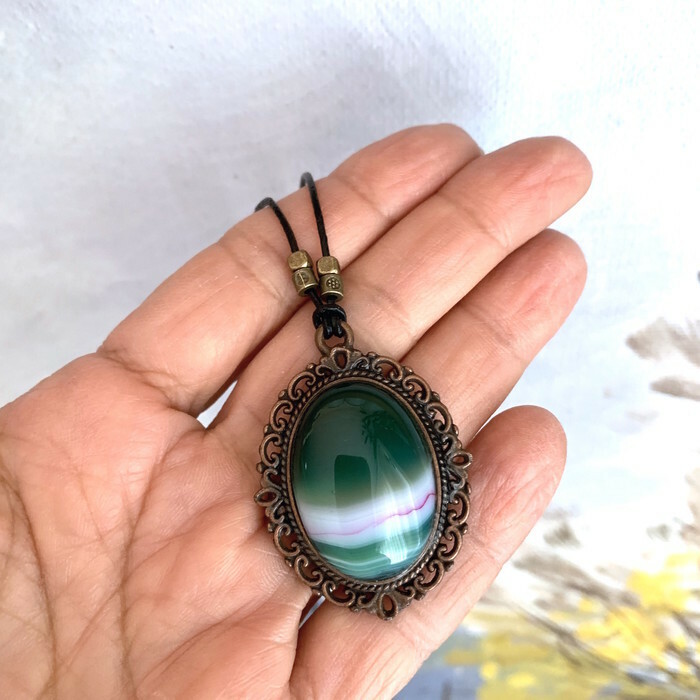 High polished cabochons.